Jennifer is an author and journalist. Jason Feifer is editor-in-chief of Entrepreneur magazine, and host of two podcasts: Pessimists Archive (iTunes, site), about the history of unfounded fears of innovation, and Problem Solvers (iTunes, site), about how entrepreneurs solve unexpected problems in their business. He was previously an editor at Fast Company, Men’s Health, Maxim, and Boston, and has written for New York, ESPN, Slate, GQ, New York Times, Washington Post, The Guardian, and others. 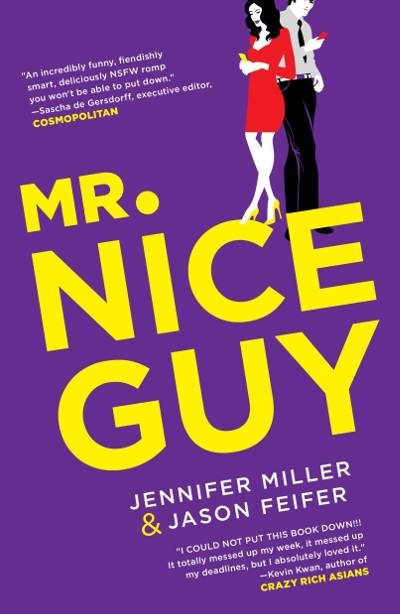 A novel he cowrote with his wife, Mr. Nice Guy, will come out on October 16, 2018, from St. Martin’s Press. Jason lives in Brooklyn. His Twitter, Facebook and Website. Jennifer Miller is his wife and an author as well and Jennifer is on Twitter.